Enhance the beauty of your house with silk lavender arrangements. Artificial flower arrangements – How do you feel about the look of your house right now? It is hard to get a clear idea of how your house is looking when you see it every day, but take a moment to think about it. Close your eyes and imagine the way that it looks. Now when you open your eyes, look around and see how it actually looks compared to your imagination. More than likely, your mind’s eye is seeing the way your house looked when it was at its best. Perhaps there was a beautiful bouquet or two in the mix, but obviously those flowers are no longer alive. More on artificial lavender flower arrangements here. Faux lavender flowers - How can you have that look all the time? 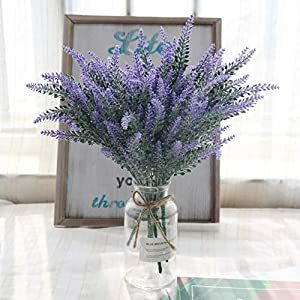 You can't keep live flowers in your space without spending a lot of money, but have you considered silk lavender flowers? An artificial lavender bunch can enhance the beauty of your home as well as keeping the space lively much longer than you would obtain from natural flowers. You might not have the lavender smell, but you will still have the visual appeal of artificial lavender flowers filling your home and enhancing the beauty of your home. Another great benefit is that you have have these particular flowers in all the rooms of your house if you feel that that would be your best option. It may take a bit of adjustment to have these lovely flowers in your house all the time, but once you get past the unexpected and long lasting beauty in your house, you will realize that it was a great choice and you will wonder how you ever managed without them. It will be a great talking point and allow you to discuss beautiful lavender plants with everyone you meet. What can I do to get some Silk Arrangements in my own home? 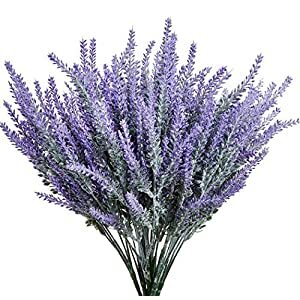 Now that you know about silk lavender arrangements, it is time to do some research into the best place to buy silk flowers and also look into the best options to have them arranged, either by yourself or find someone else do it for you. Once you have that sorted out your best options to get your arrangements sorted out, you will be able to purchase these beautiful silk flowers and get your home looking great again. Now just take a moment to imagine your house with silk flower arrangements in it. Thought about Lavender wedding bouquets here? Using lavender as a wedding theme is a wonderful idea for many reasons. It is very decorative, with a beautiful purple color, elegant regardless of whether you need to decorate a room or a wedding bouquet. In addition, it will refresh your space with its beautiful color and cheer up everyone. Using lavender as a wedding theme is also very affordable, since you can get it in large quantities at a lower price. This is a great way for those of you who do not want to spend a lot of money and still want to have a beautiful ceremony. There are series of possibilities that this beautiful flower can offer you. Great prices, fast deliver and always quality!